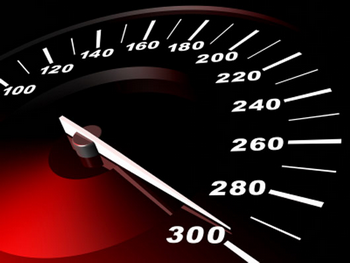 Lets take a look its time to analyze your blog in seconds by online tools.Now we will check your site loading speed if loading speed score is more than 90 then its all well but if your blog load time is less than 90 then you are suffering from same problem. I know you have seen your result by entering your blog url to one of these two amazing tools sites. Now if your lucky then it may not harm for you if you find good result for your blog. You may observed many times while landing on different sites they put alot of social media widgets below,above post title and in sidebar as well as in footer dont do thats it will increase your blog load time. and the second things is that always try to insert 300 by 250 image in your new post. I have seen many people they use image for blog background although it can effects and bring popularity in designing but will surely turned you into loading page. Never use that widgets which appears at the beginning of your sites. many webmasters try to effort the visitors to like our communities like facebook, now days we see that when we open website it suddenly appear at the beginning facbook widgets which can cause increase your blog loading time. Home page is just like your head in your body. It is the page where land everyone first time on your blog. So make sure your blog home page should be faster then others pages. reduce your post to 5 on home page if you dont know how to do this then see the screen shots below. Now thats up to you we have struggle alot to bring you this special post regarding to loading time. Now take ideas for your blog and customize all that unnecessary widgets, images, plugings and many more which could compel your blog on loading. Feel free to ask. nice post dude.. keep it up..
Nice tips, I have been a web developer sometimes so I think I could share some experience. 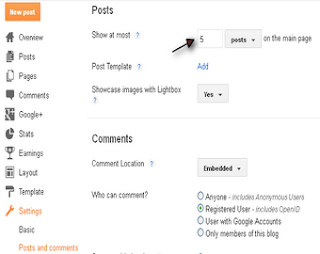 The first tip is you can always search for WordPress snippets for tasks like Related Post and Popular post!! Thanks jemma for your lovely words. Really nice tips. These are the simple things e forget to take care. But it will make a lot of difference in loading time. Thanks for sharing these tips. For the fact that blog is well arranged and look professional, if either of these points is disputed most especially the issue of unnecessary widget will definitely affect the blog in terms of loading time.